Are you a student at Staffordshire University? My Baggage can help you transport your luggage! My Baggage offers fast, reliable and affordable student shipping to Staffordshire University. We provide a convenient door to door service with full online tracking available! 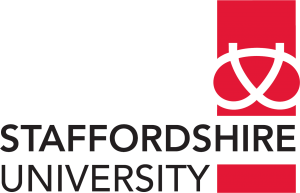 Staffordshire University is a modern, relevant and vocationally inspired university with a global edge. Located right in the heart of the UK, studying at Staffordshire University gives you access to everything. My Baggage is the most affordable way to transport your luggage to and from your accommodation at Staffordshire University. 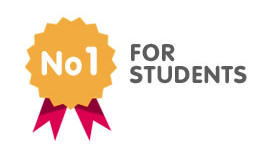 We’re the No.1 student shipping company, helping thousands of students transport their luggage within the UK and to over 200+ countries worldwide – every single term! With My Baggage, you don’t have to worry about paying expensive airline baggage fees just to get your excess luggage to/from university with you on your flight. Nor will you have the inconvenience of carrying heavy bags with you on public transport. My Baggage provides a welcomed student shipping solution. Making your My Baggage booking is easy. Simply start by getting a quote on our website. You’ll be required to enter your luggage size and weight for the booking, so make sure you have these details to hand. Enter your address details and complete the booking by making your payment. It’s that easy! Once you’ve booked, sit back and relax as we take care of the rest. We’ll collect your item and deliver it straight to its destination. Once you’ve booked, you will be given access to full online luggage tracking, as well as SMS and email notifications. You will be able to monitor the step-by-step progress of your shipment as it makes its way to its destination. The tracking information will update to let you know when your item is out for delivery – so you’ll know exactly when to expect it. Your luggage will be collected straight from the front door of all houses, student houses, flats or apartments and will be delivered straight to your address at Staffordshire Univeristy. If you are living in Staffordshire University halls of residence, your luggage will be collected from and delivered to the halls of residence reception area or designated postal room. If you are an international student studying at Staffordshire University, My Baggage can help you transport your luggage! My Baggage offers fantastic low prices and super fast delivery times on items sent overseas. We ship luggage to over 200+ countries worldwide! So whether you’re off on a year abroad, or even traveling during your gap year – you can book with My Baggage too. Get a quote today! My Baggage offers low prices with students in mind. Using our service, you can send a box or suitcase weighing up to 30kg for as little as £16.99!